Jasper is a type of Chalcedony that grows in massive formations with opaque (and usually patterned) colors. This is where it gets its name meaning, a banded or spotted stone. 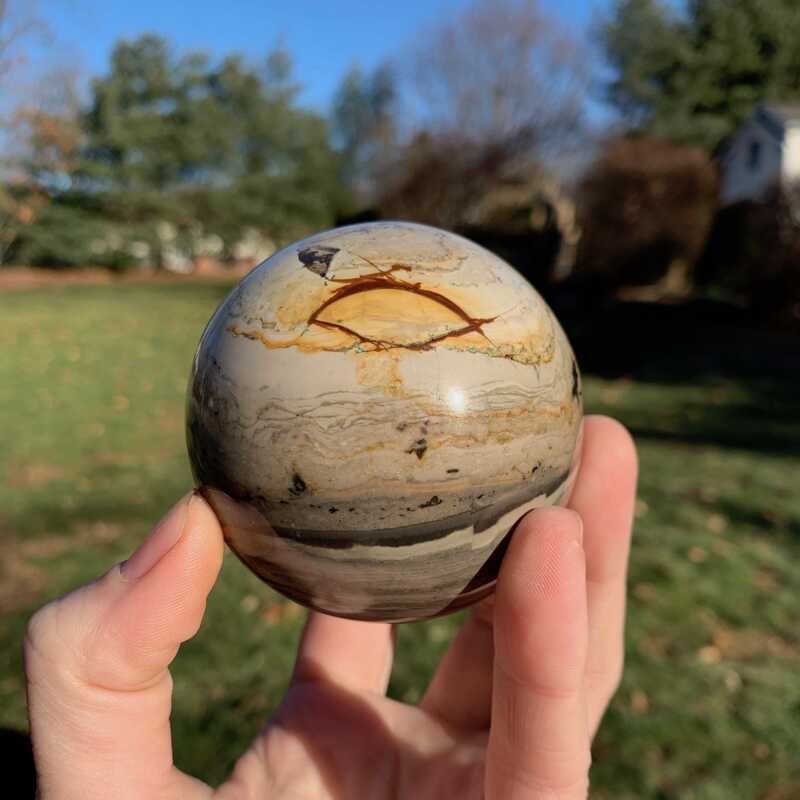 Many types of Jasper are recognized for their banding color formations that look like stripes throughout the stone, although this is not always a definitive trait. It can appear in a wide variety of colors including: brown, tan, dark red, orange, yellow, green, blue, and grey. Each type and color of Jasper resonates with the general Jasper qualities, but also add their own unique energies making each specific type very similar in foundation but different in specializations. Jasper is a solar stone, known as the Supreme Nurturer. Its vibrations emanate a great warmth that brings about a soothing sense of joy. When meditating or holding Jasper one can feel this in sensations of a warm hug. These vibrations can greatly aid one in nurturing the self and others as they not only provide one with abundant joy, but also inspire one to share this joy (and physical abundance) with other people. Jasper helps one to find an inner sanctuary and allows one to provide a warm sanctuary to others (physically, emotionally, and spiritually). When carrying or wearing Jasper, one may find it easier to unlock the inner joy of those around them. It imminently leads one to awareness, of the self and others. This allows one to appreciate situations of isolation. It also allows us to realize that in most cases, one can call upon others to provide useful insights ,and to energetically provide love and support for one’s physical manifestation. Jasper is a powerful ally in bringing balance to the physical, emotional, mental, and etheric bodies. 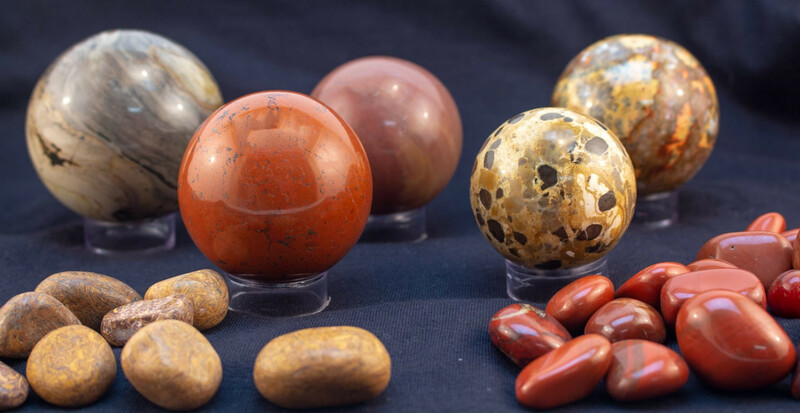 Once each body is brought to individual harmony, Jasper can further help one to form a strong link between these bodies so they can work together in harmony. 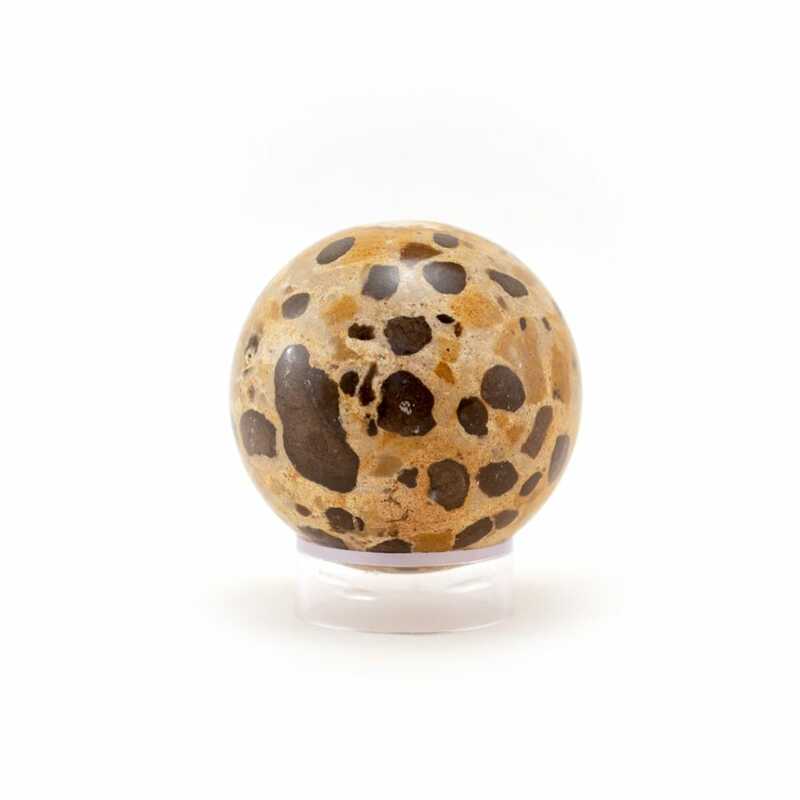 Jasper also stabilizes and cleanses one’s aura, bringing weakened energies up to speed and eliminating negativity. This allows one to merge their physical and energetic auric fields so that one can successfully direct both physical and spiritual energies towards their goals. It aligns all of the energy from one’s chakras to enhance astral journeys, allowing one to integrate each chakra's attributes into astral travel. It is a very protective stone that guides one safely through astral travel - its recommended to place a piece of Jasper on the solar plexus and heart chakras before setting off on astral adventures. Jasper brings overall great balance to one’s yin-yang aspects as well. When worn or carried, Jasper enhances one’s mental processes and promotes better thinking. It will restrain one from any desires or actions that might lead to dangerous situations and protect the wearer from both physical and nonphysical threats. Wearing Jasper will also keep one grounded and stabilized through the energies of the Earth. Shamans wore Jasper for protection as well as magick enhancement, and using its solar energy as an aid to manifest the magick into reality in some way. The exact use of the Jasper often varied depending on its color. Native American tribes called it “Rainbringer” and it was used in rain attracting ceremonies. Carved arrowheads were worn to attract luck to the wearer. Jasper was also used in the early history of the United States for purposes of divination. It has been used by pregnant women to ease the pains of childbirth. 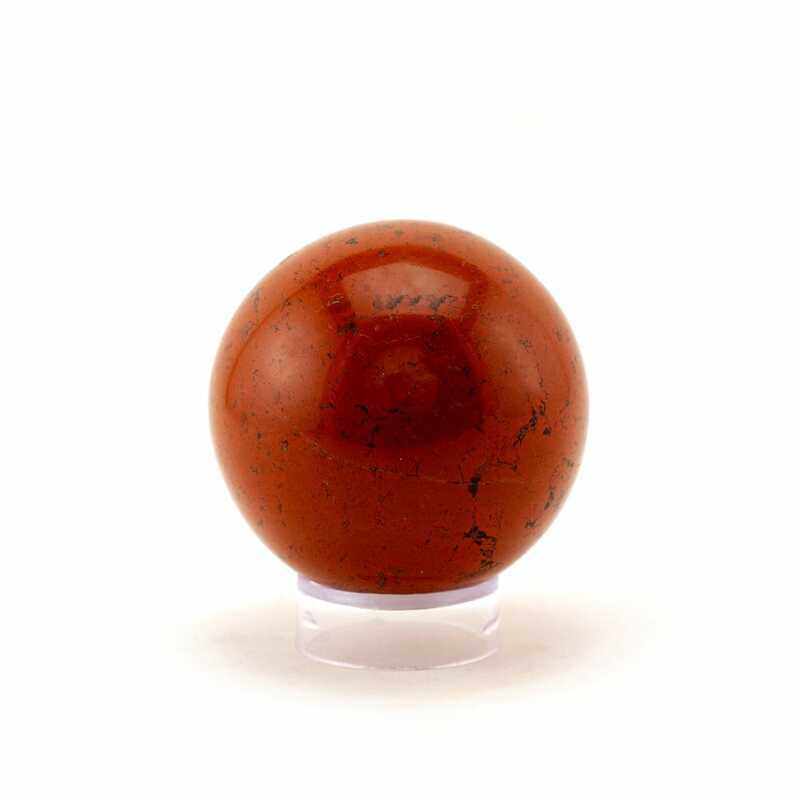 Red Jasper is a calming stone that stimulates the root and sacral chakras. It is full of grounding energy that strengthens one’s connection to the earth and brings about an understanding of events occuring in the world around us. These grounding energies also help one to understand why changes of all kinds happen, aiding one in moving forward with new knowledge and vigor after any type of change. This stone works slowly to aid in solving difficult situations to completion, leaving nothing untouched so that the best solution is found in accordance with the highest justice and fairness for all involved. The nurturing qualities of Red Jasper add immense physical recovery from injury or illness of any kind. It nourishes the circulatory and respiratory systems, bringing them to a state of balance and good health. These energies are also capable of restoring muscle tissue, making them incredible allies in healing from muscle based injuries and in regenerating tissue after exercise/working out. In pregnancy, Red Jasper is able to stabilize the mother-child body systems and promote healthy fetal growth.